Posted on October 16, 2010	by Linda S.
We had a spinning good time for a couple of hours or so…everyone had something to talk about… and talk we did..lol It was so much fun watching everyone with their different wheels and the different ways they had of spinning. One young lady was a new spinner and walked around asking questions. Everyone was friendly and encouraging, helping in any way they could. 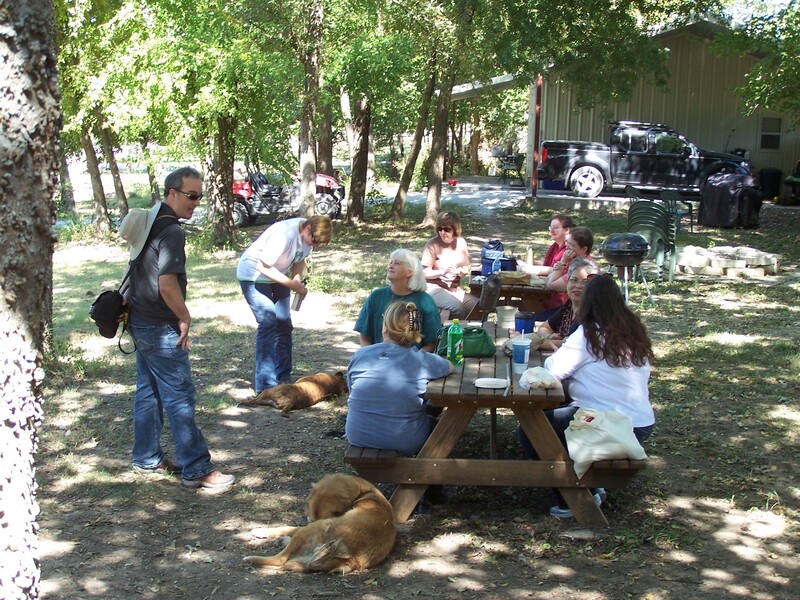 Around 1pm or so everyone adjourned outside to the picnic tables…to the never ending joy of the canine buddies. Leef has one such buddy that looks exactly like the dog my grandfather had that could ride a bicycle and pull the wood sled….and is even named “Sandy”. I still think food eaten outside tastes better than any other food. Leef is the lovely lady in the green t-shirt with the lovely shoulder length white hair. 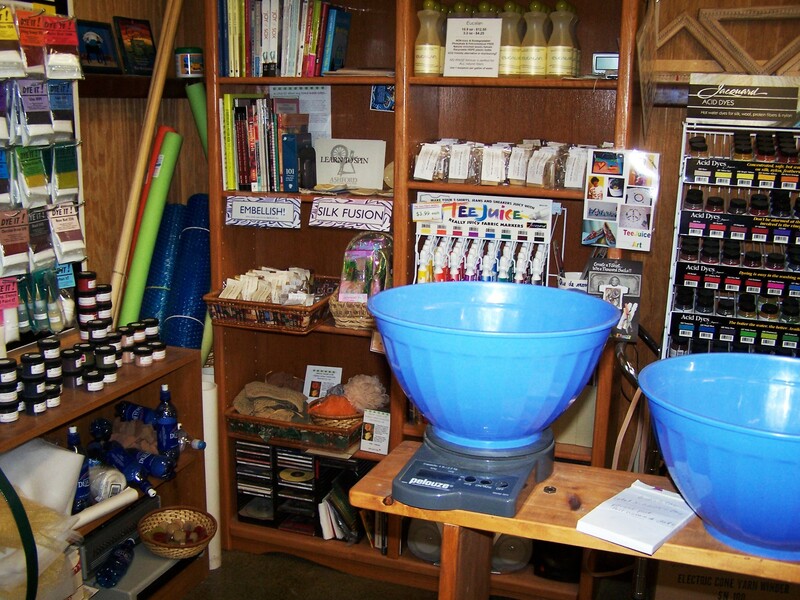 I was truly excited to see that she has many colors and kinds of dye stuffs. While I love my kool aid, sometimes I would like to have a more intense color or an in between color that I find it hard to mix with the colors of kool aid. I bought 3 colors of the Jacquard dyes to see if I can come up with a graduated blend for a scarf or shawl that I plan to do later this year. She also has a tahkli that I really, really want. 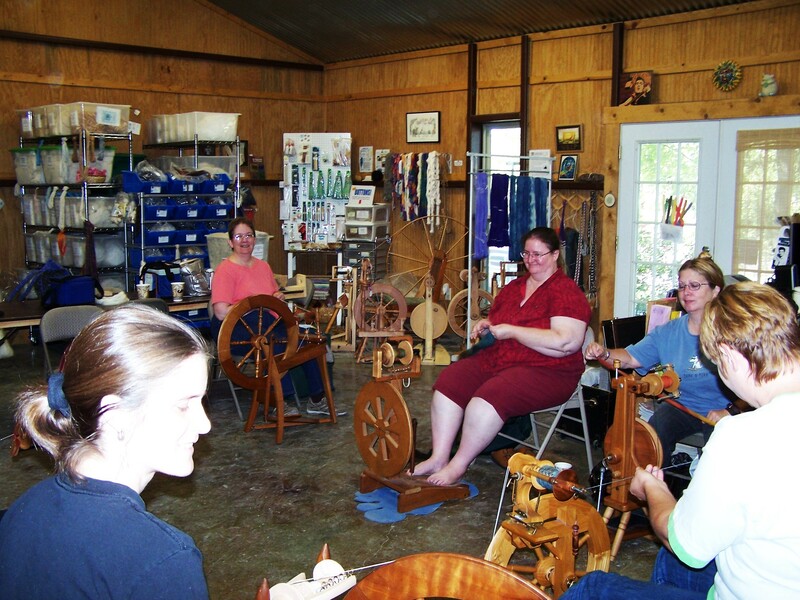 It would be wonderful to be able to sit back in a chair and spin with a supported spindle. There was something about spinning that tahkli… it was mesmerizing. 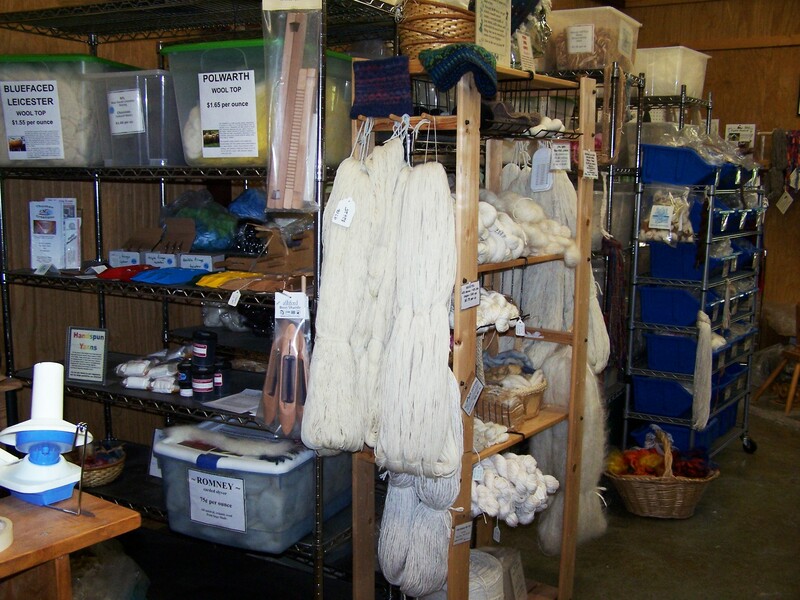 This entry was posted in Crafts, Felting, Fiber Preparation, Free Patterns, Handcraft, Handwork, Historical Textile, Knit, Spindling, Spinning, Weaving and tagged Crafts, Free Patterns, handmade, Handwork, spin in, spinning. Bookmark the permalink. Love the article! Great photos….I was far enough away not to mind having my picture taken! LOL I really enjoyed our day out and look forward to doing it again next month.